Pep was a big comic magazine around 1970. 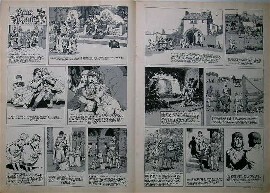 They did publish Prince Valiant in 1970 and 1971. Value around 10 Euro's for the early numbers.